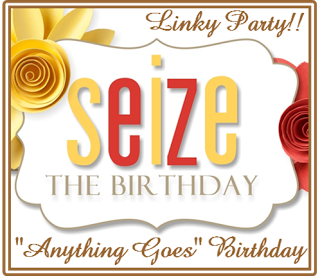 A quick card this evening, I used the sketch from current Cas(E) this Sketch and the theme Happy Birthday for the Seize the Birthday Challenge. 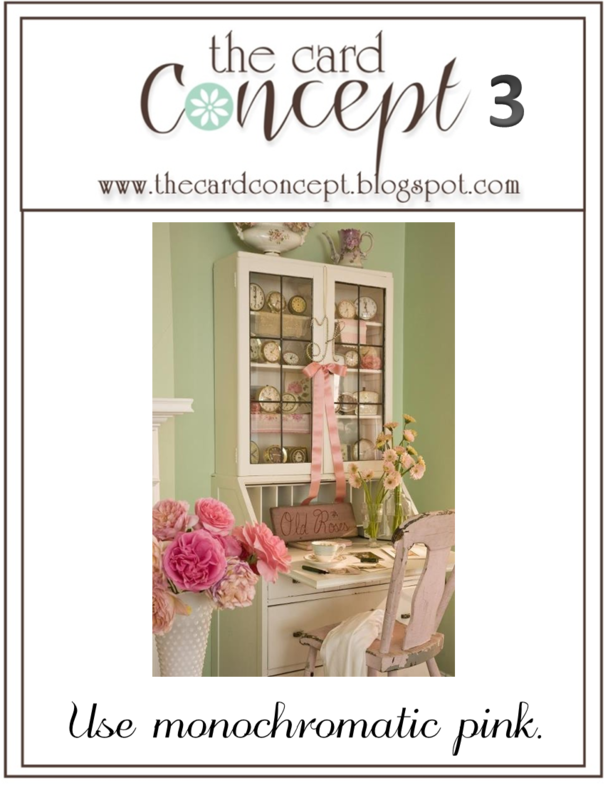 Isn't this DP pretty, I love the soft colour, I fussy cut the coffee cups out and added some foam tape between the layers. I finished with the twine and Stickles. 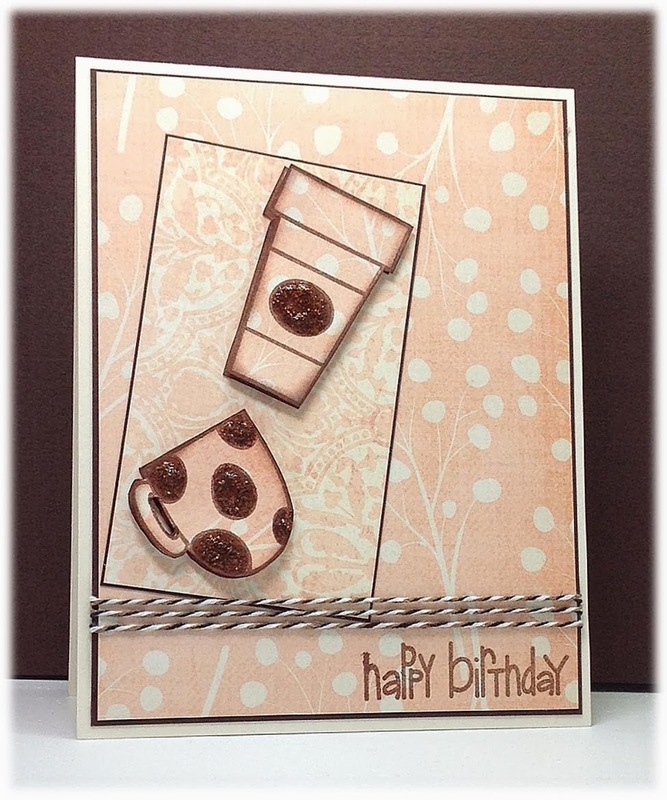 Supplies: Cream and brown card stock, Designer Paper – Bo Bunny, The Alley Way Stamps - multiple sets, twine, Stickles. 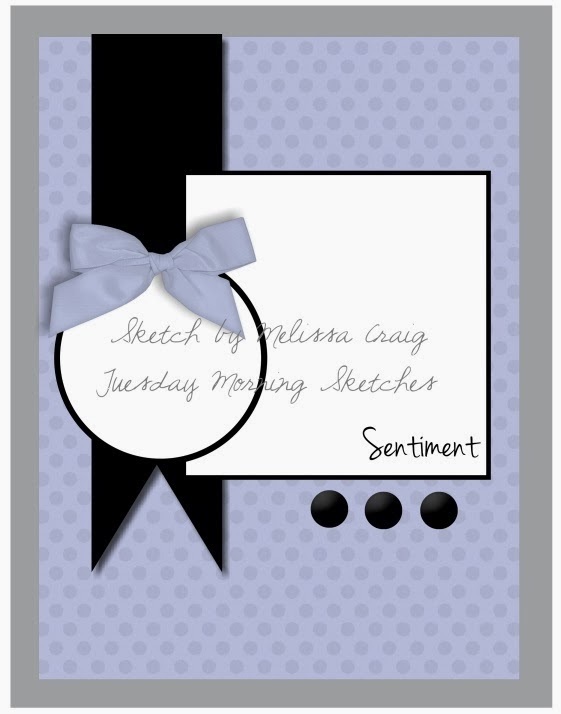 A have a quick card this evening for the current Tuesday Morning Sketches. I found this lovely DP hidden in my stash; I went with a grey and white theme. I love this simple sketch, I did flip it though. I used a sparkly grey ribbon to add a touch of jazz and popped up the sentiment with some foam tape and finished with some grey pearls. 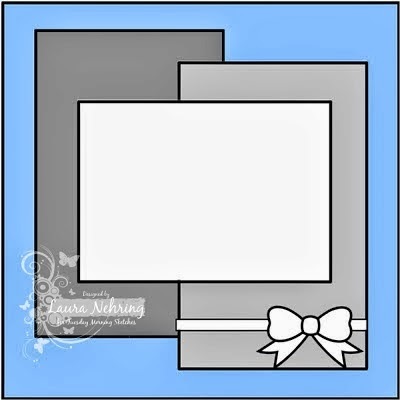 Supplies: White and gray card stock, Designer Paper –Little Yellow Bicycle, Close to my Heart – For Every Occasion, Spellbinders die cuts, ribbon, pearls. 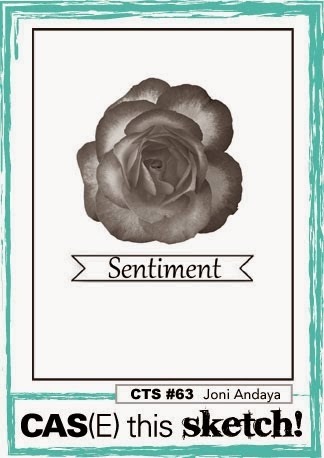 I had a little bit of craft time this evening and decided to play along with The Card Concept - Use Floral Theme. I found this pretty doily DP in my stash that is double-sided. I used one side for the main panel then used the back side for my flowers. I inked all edges and finished with some pearls. I think this would fit under the Shabby Chic section. Supplies: Cream and brown card stock, Designer Paper – Pink Paislee, Papertrey Ink – Birthday Wishes, Memory Box die – Petal Party, pearls. 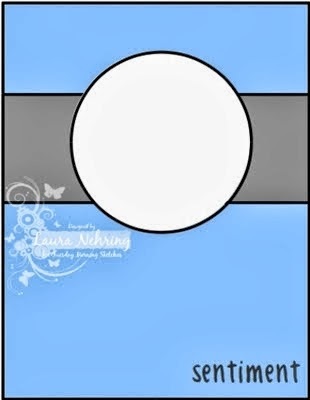 Happy Monday everyone, it is time for a new Merry Monday Christmas Challenge, this week we are asking you to Create a Christmas card using Aqua, Silver and White. This is definitely a CAS card, I let the Designer Paper do all the work. I did add a layer of Aqua card stock to both the main panel and the sentiment. 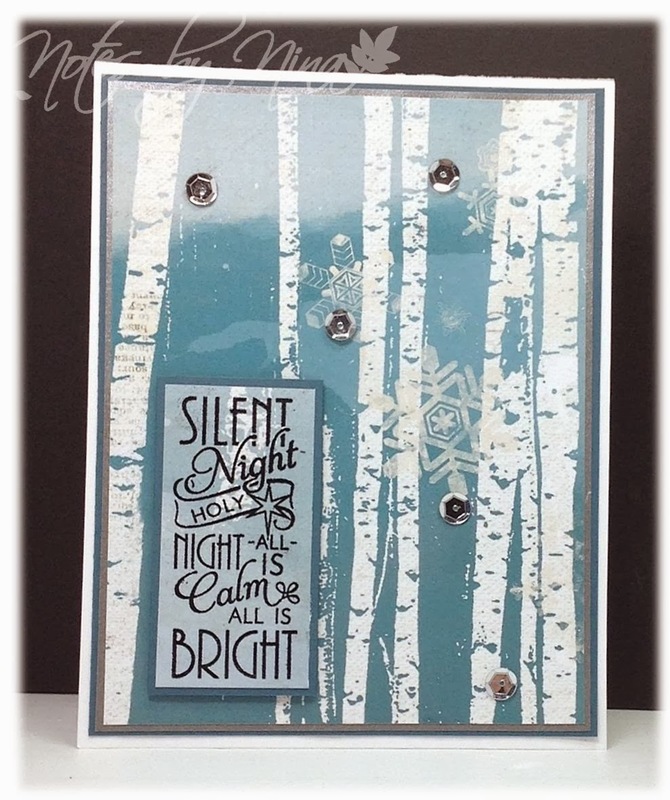 The sentiment is popped up with foam tape and finished with silver sequins. 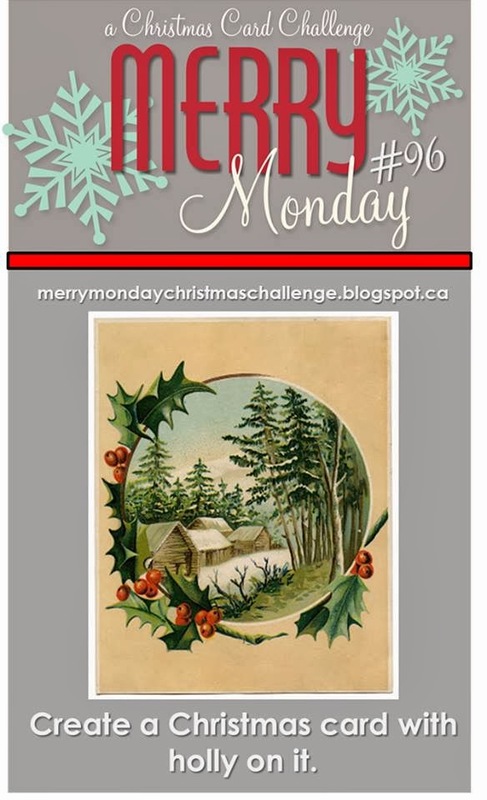 Stop by the Merry Monday Christmas Card Challenge blog to see all the great samples form the design team, play along with us. Supplies: White, aqua and silver card stock, Designer Paper – Bo Bunny, Verve-Peace on Earth, sequins. Good…early afternoon? I am not sure where my morning has gone. It is snowing like crazy here today and has been since the wee hrs of the morning. It is only sticking to the greenery though and I am ok with that and I was able take a walk in a little smidge of winter this morning. Now I am snuggled down with my craft supplies and will see what challenges I can play along with. My first one is for the current TuesdayMorning Sketches, and I think I am right down to the wire. 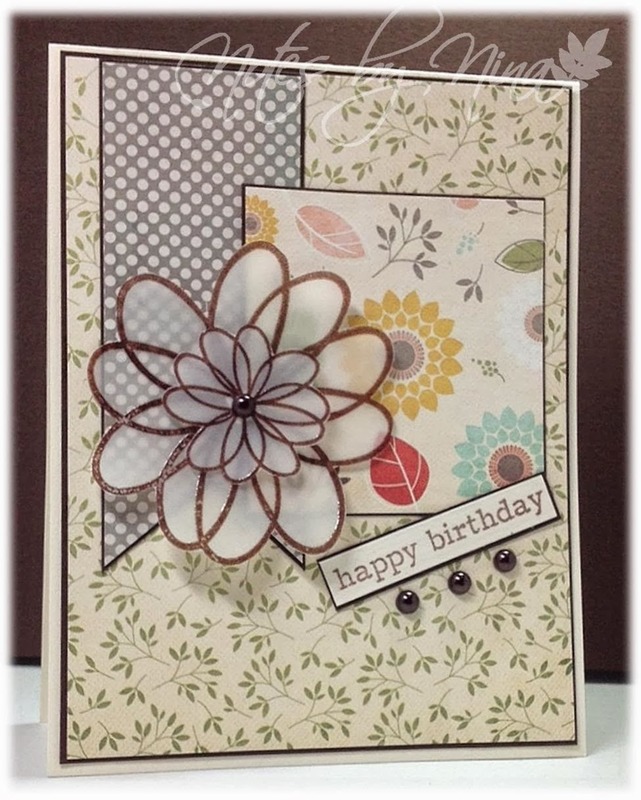 I love the layers, I heat embossed the flowers on vellum then fussy cut them. 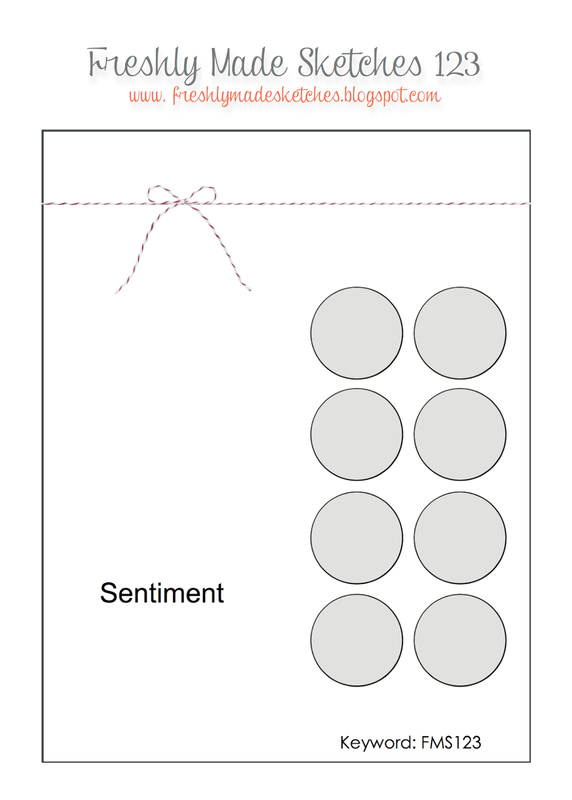 I felt the lower half of the card look empty so I put my sentiment off kilter then added the pearls. 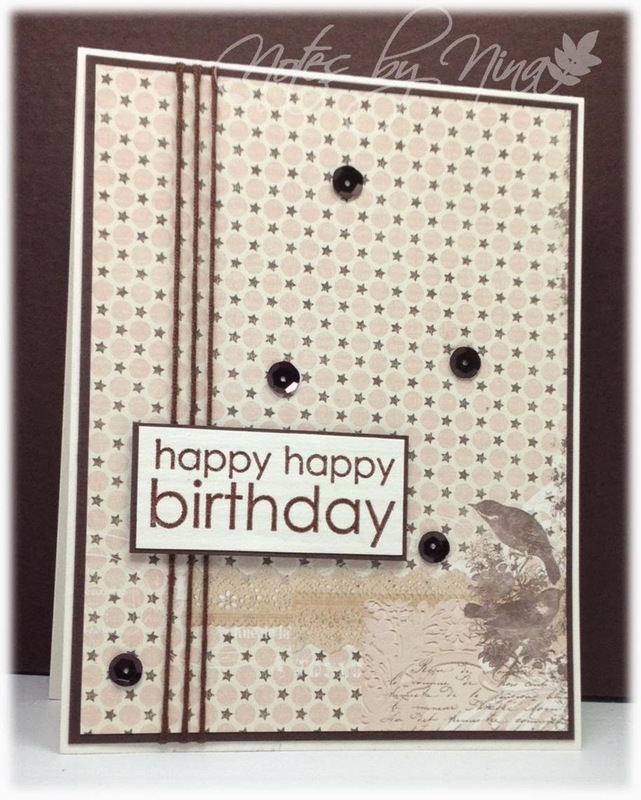 Supplies: Cream, vellum and brown cardstock, Designer Paper – Fancy Pants, The Stamps of Life – multiple sets, pearls. 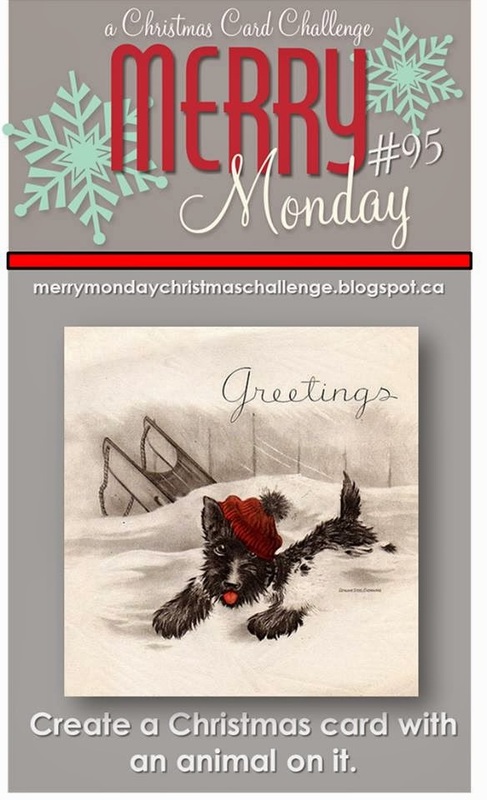 Happy Monday everyone, it is time for a new Merry Monday Christmas Challenge, this week we are asking you to Create a Christmas card with Holly on it. I have been itching to use this DP, the holly is embossed and glossy and so pretty. The bottom is from the same paper pack as it the shaped center section. I popped up the sentiment with some foam tape and added a little twine and a button made with circle punches. Supplies: Cream and brown card stock, Designer Paper – Kaiser Craft, Papertrey – Holiday Wishes, twine, circle punch. 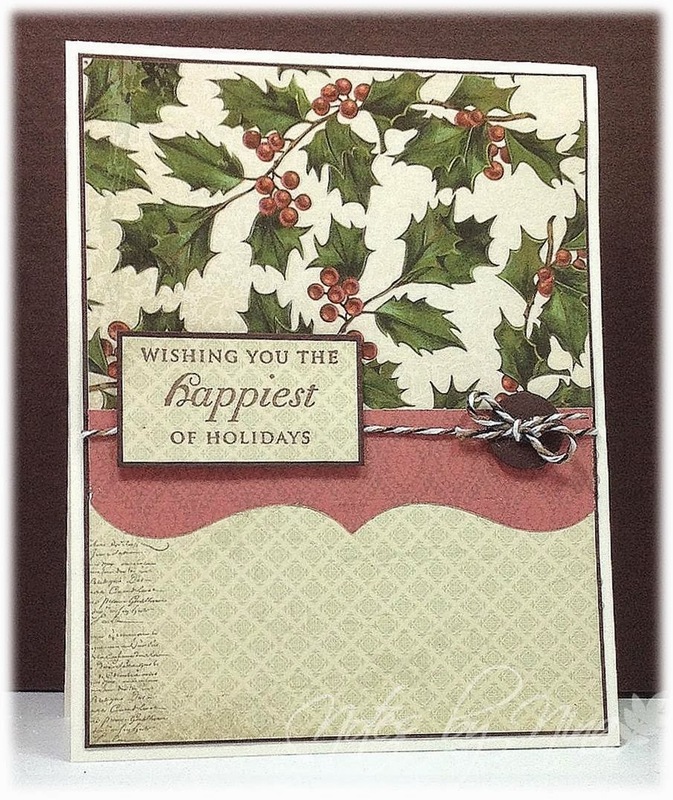 Stop by the Merry Monday Christmas Card Challenge blog to see all the great samples form the design team. Grab some supplies and play along with us. 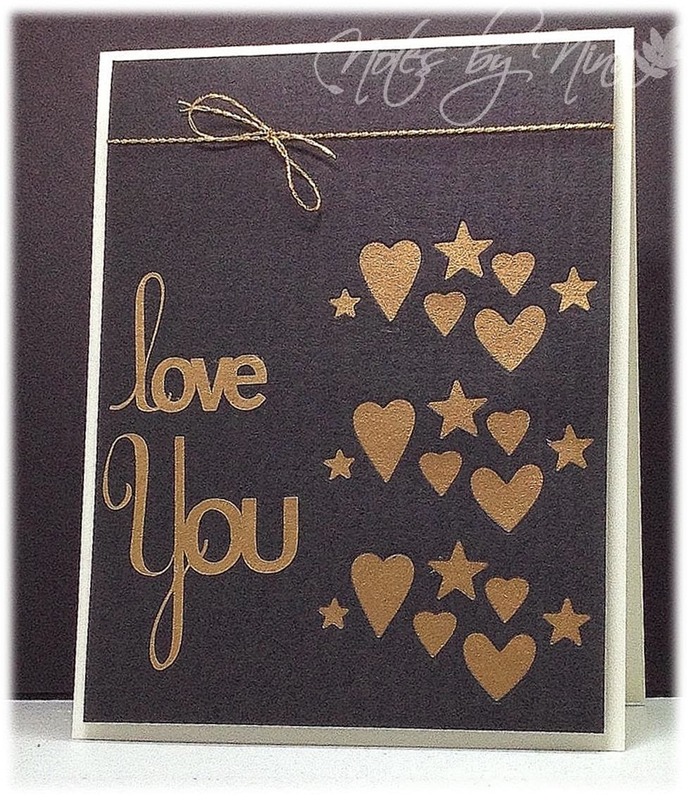 I used a die cut for a series of hearts and stars in black cardstock; I backed it with gold paper. I cut the sentiment from the same paper with my Silhouette then finished with gold twine. I popped the whole thing up with foam tape and added a cream card base. I apologize for the photo, I could not get a good shot with all the gold glimmering back at the camera. Supplies: Cream, black and gold card stock, Memory Box – Hearts and Stars, Silhouette cut file. Another quick card for today, this one is for the current Seize the Sketch challenge. I heat embossed the sentiment on vellum and used it for the center panel and I used a die cut butterfly for the half circle element. 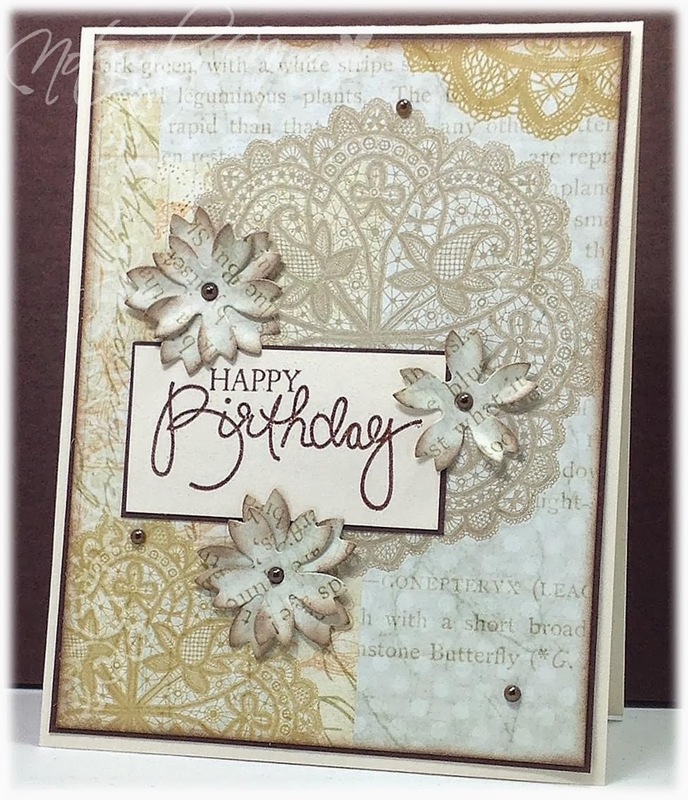 Supplies: White and brown card stock, Vellum, Designer Paper – Webster’s Pages, Papertrey Ink – Birthday Wishes, Memory Box Die Cut, pearls. 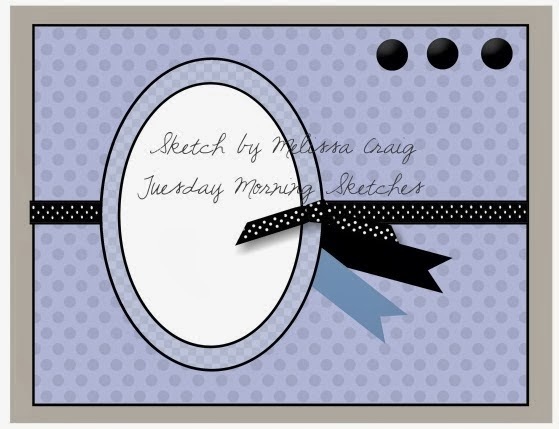 I have a quick post this morning for the current Tuesday Morning Sketches. I love all the layers on this sketch, I felt my base layer was a little too dark so I popped all layers with foam tape to draw out the lighter colours. I layered the lace and added random cream and brown pearls. 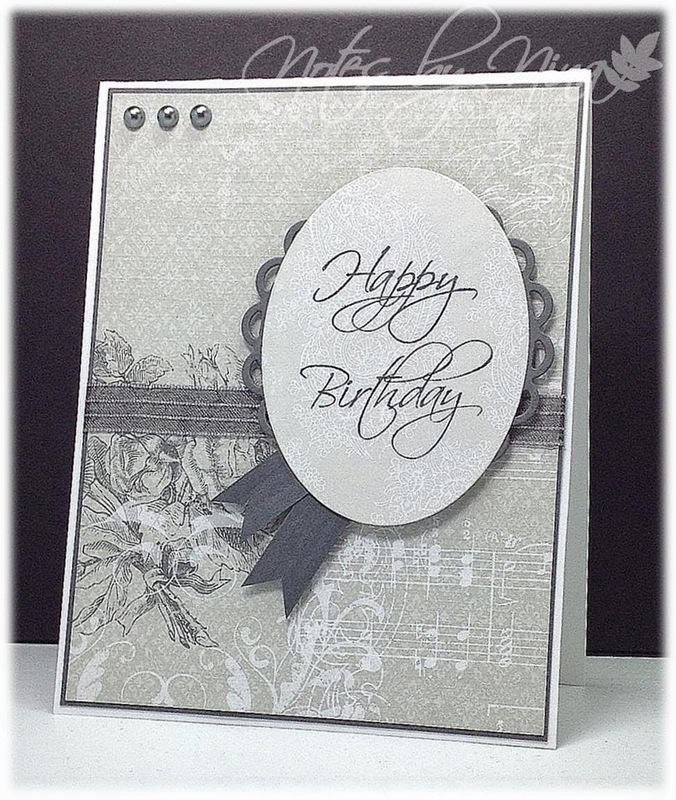 Supplies: Cream and brown card stock, Designer Paper-Basic Grey, Denami Design – Happy Birthday, pearls, lace. It is family day here in BC, and I am getting a chance to craft with my sister Barb and my SIL Judy. This card is for the current Cas(E) this Sketch. 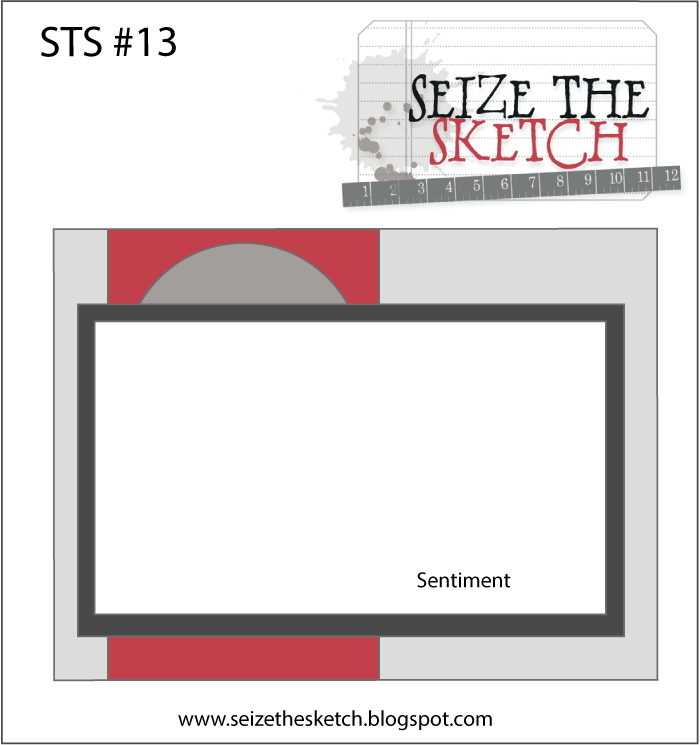 I turned the sketch upside down, then used a square punch to create a square center panel. I used a round die cut from the 6x6 paper pad I was using and popped it all up with foam tape. I added some twine and raised sentiment to finish. 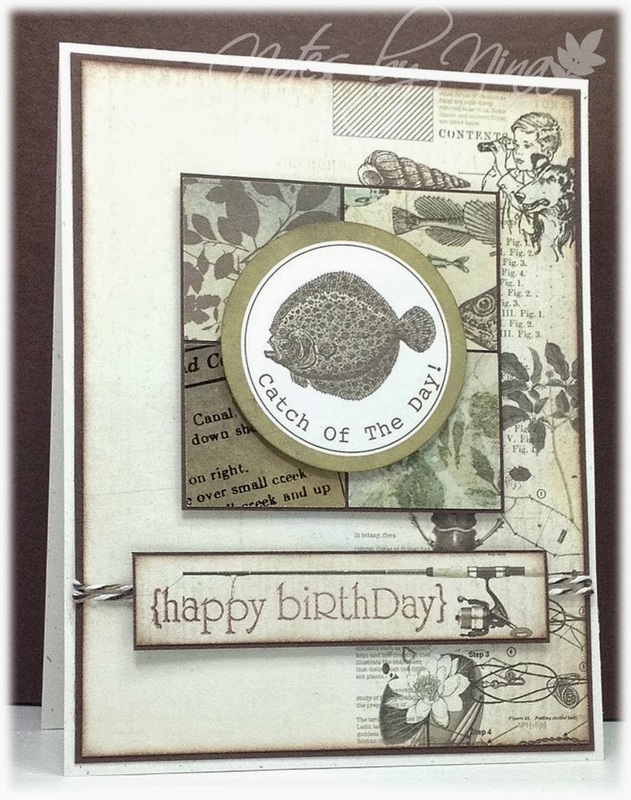 Supplies: Natural white and brown cardstock, Designer Paper – KaiserCraft, PaperTrey Ink – Birthday Wishes, twine, square punch. It is time for a new Merry Monday Christmas Card Challenge, this week's challenge is to Create a Christmas Card with an animal on it. I used lots of layers for this card, in all honesty I had no clue what I was making :). I walked away from it for a day or so, added another layer and put it aside again. Then is all just came together, I made the little reindeer in layers too and fussy cut him 3 times so that layer are at different levels then popped them all up with foam tape. 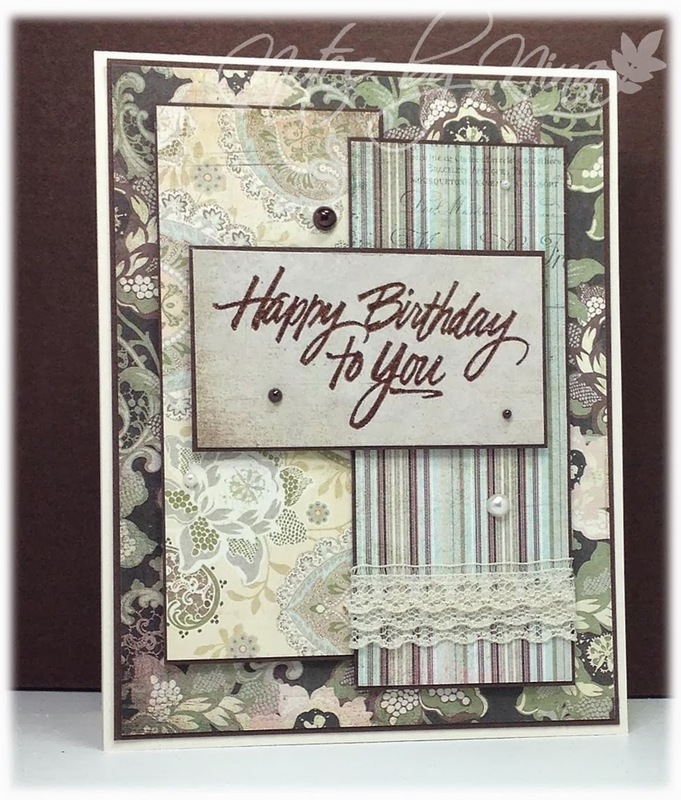 Supplies: White and brown card stock, Designer Paper – Doodlebug, The Alleyway Stamps - No Peeking, Momenta - Merry Little, twine. 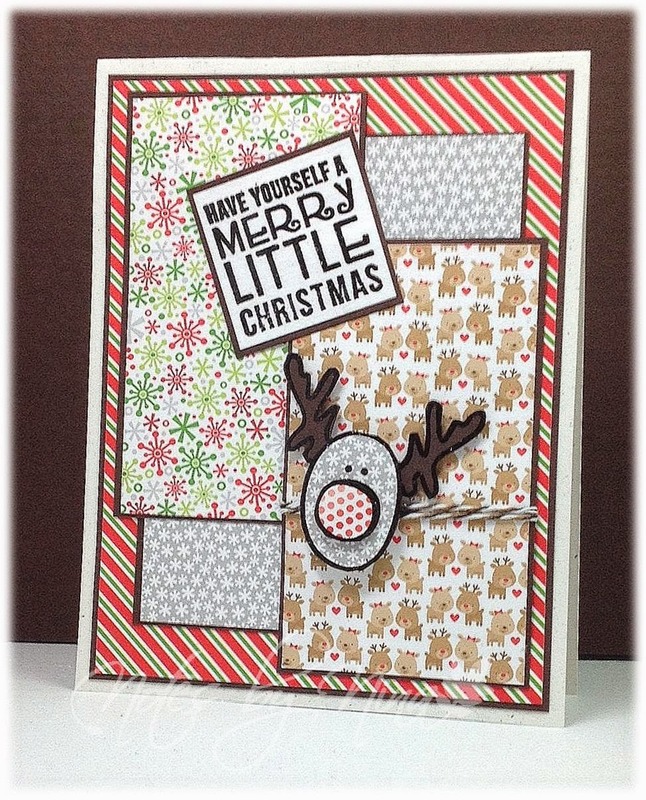 Stop by the Merry Monday Christmas Card Challenge blog to see all the wonderful design team creations. We would love to have you play along. 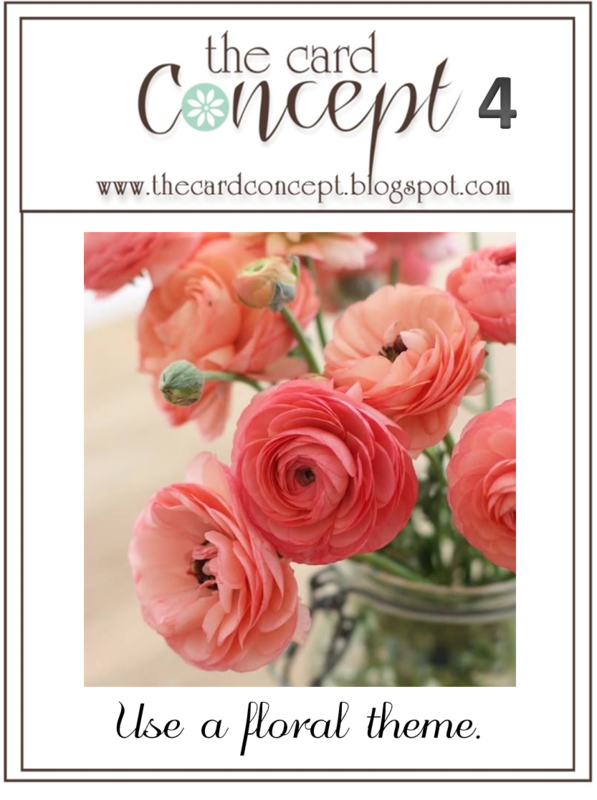 A quick post for a card I made for The Card Concept - Use Monochromatic Pink. 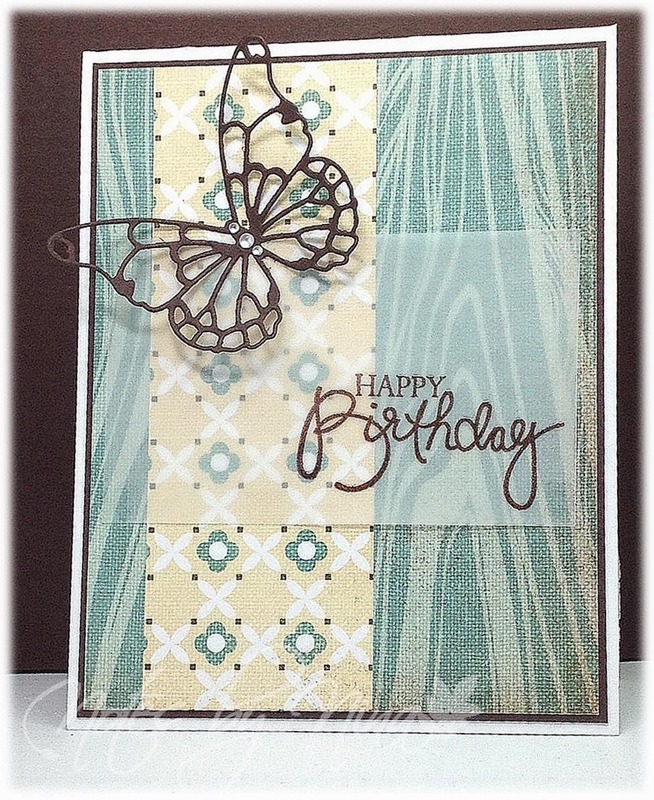 Supplies: Cream and brown card stock, Designer Paper – Bo Bunny, Papertrey Ink – Birthday Wishes, twine, sequins. I found this DP in a local stamp store this weekend and brought a single sheet to play with so I am using for the current TuesdayMorning Sketches Challenge. The paper is double-sided so I used both sides, brown cardstock layers all the elements. I popped the oval and sentiment up with foam tape and finished with pearls. 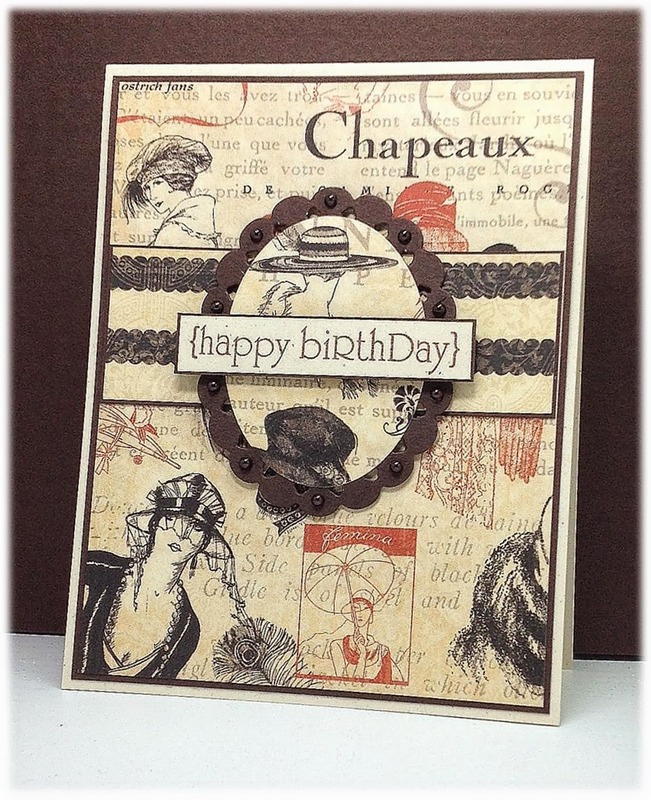 Supplies: Cream and brown card stock, Designer Paper – Graphic 45, Papertrey Ink – Birthday Wishes, pearls, Spellbinders. I took a little break from card making this weekend to try a different craft. I was wandering the rows of Michaels on Saturday, which is never good. I prefer to go when I can focus on a specific item or items to buy then I don’t end up buying something I don't need, I get in and I get out. Not this time though and I came home with a loom and a ball of yarn of all things and I got it in my head to make myself a blanket for the couch. I found the instruction booklet that came with the loom a little sparse, my first try resulted in a nice start for most of first foot with the exception to the edges that seems really tight and starting to curl. So I unraveled it and looked for some better instructions and I found this young lady on YouTube and I have a good second try on the go. You can see her tutorial HERE. 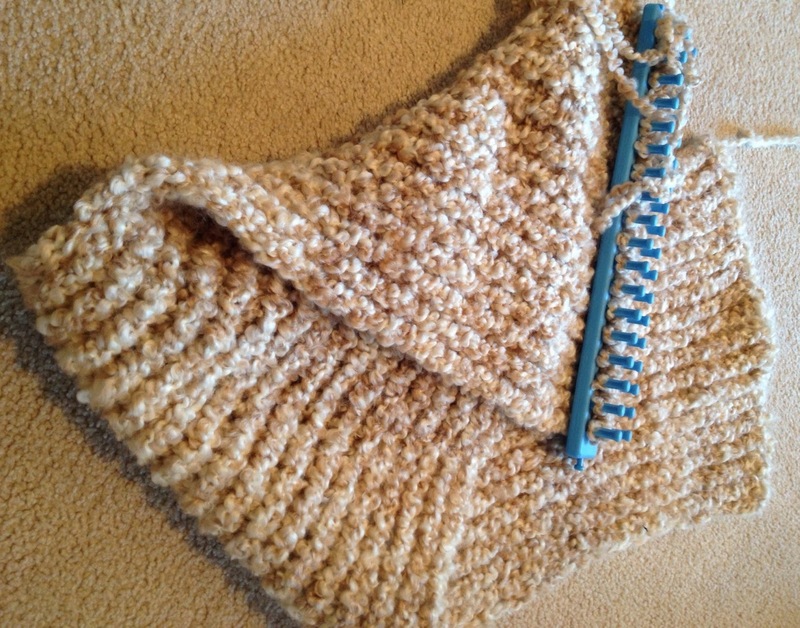 Supplies: Loops & Threads Knit Quick Loom, Lion Brand yarn – Pearls. 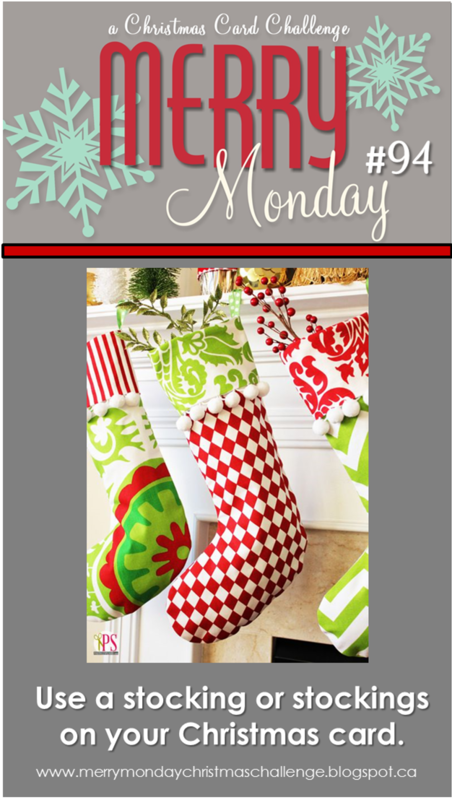 It is time for a new Merry Monday Christmas Card Challenge, I love the fun bright colours on the stockings in the this inspiration photo. I went with a CAS card for this challenge, I used my Slice to cut out the stocking of two different of DP from one of my 6x6 paper pad. I popped up the whole stocking at different areas to give it a 3D look. I layered a matching strip of paper to run in behind then finished with an embossed sentiment. 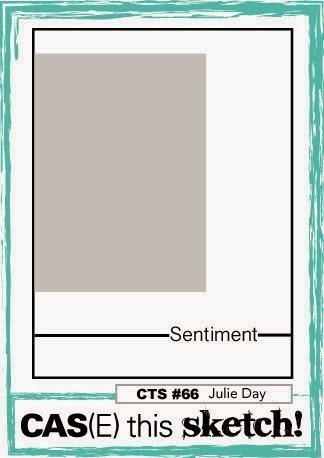 Supplies: Cream and brown card stock, Designer Paper-KaiserCraft, Sentiment.